We get the cloud. We speak the language. Meet some of our Cloud Client Executives (CCEs), part of CDW's team of 1,400 highly skilled specialists. 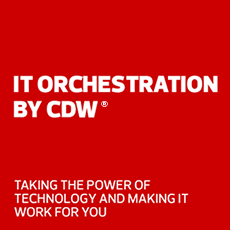 Louis brings a deep knowledge of cloud technology to CDW, and his transformative vision has helped guide organizations in executing their cloud strategies. Tim joined the CDW team in 2003, and he's been helping organizations big and small achieve their business goals ever since. According to Tim, the cloud is "not just something. It's everything." And it's Tim's mission to use cloud architecture to help organizations focus on their core business and gain agility. Matt is a cloud evangelist who is passionate about helping his clients realize the agility, efficiency, performance and scale that cloud solutions can bring to their business. He believes that CDW is currently redefining the industry's definition of "Value-Added-Reseller." Neal comes to CDW following a successful career at AT&T. He leveraged his cloud and data center knowledge to develop customer-focused business solutions. In addition to his cloud and data center knowledge, he also has experience with security and collaboration solutions. Sandra believes in the cloud’s ability to help organizations work efficiently. She has seen the results herself with more than ten years of experience with integrated IT solutions. Working for clients across market segments, she has helped create managed services, security services, network integration services, consulting, hosting and application management solutions. Joe comes to CDW from Singlehop, a Chicago-based cloud-hosting provider. During his time at SingleHop, Joe worked supplied organizations with enterprise-class public and private cloud solutions based on each organization's unique business challenges. With more than 20 years in the industry, John’s background allows him to consult with companies on everything from on-premise data center infrastructure solutions, colocation options and managed hosting services to enterprise cloud solutions and services. Phil is an AWS-certified Cloud Practitioner who has been helping organizations work through technology adoption and transitions for over 10 years. Phil has spent the majority of his career working with engineers and technology innovators to design and developed solutions that underlay the cloud we know and use today. Phil drives strategic and tactical business conversations to help identify client business opportunities and deliver technology solutions. Sam joined CDW supporting the Federal Segment. Sam’s focus is to help federal agencies along their cloud journey through adopting private, hybrid and public cloud technologies. Sam brings with him over 15 years of experience in the federal space supporting multiple agencies with their program, acquisition and service management needs. Sam has an undergrad degree in Business Management and an MBA from Illinois Benedictine University. He lives in Northern Virginia with his wife and son, who is in his first year at UVA. In his free time, he enjoys working out, playing basketball and exploring nature. Before joining CDW, Tracy spent 15 years managing global enterprise accounts for AT&T. It was there where he first cut his teeth on the cloud, and he's been a cloud evangelist ever since. Yakov is a cloud client executive who is passionate about helping customers realize the business benefits of digital transformation as they transition to cloud-based delivery models. Yakov has recently joined CDW and brings diverse experience in product management, business development and technology management from his tenures in companies such as NetApp, Verizon and Goldman Sachs. Get advice from a cloud expert.